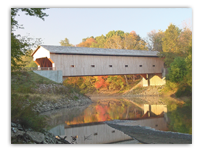 This beautiful red bridge was built in 1880 and was designed to accommodate horse-drawn wagons full of hay. 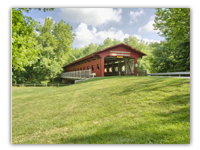 A quaint park adjacent to the bridge and creek is an ideal place for a picnic. 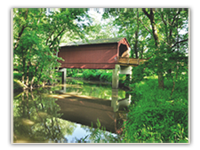 This 157 foot bridge was built in 1868 to span the Kaskaskia River. Though traffic is no longer allowed on the bridge, visitors are still able to admire it in its natural setting. 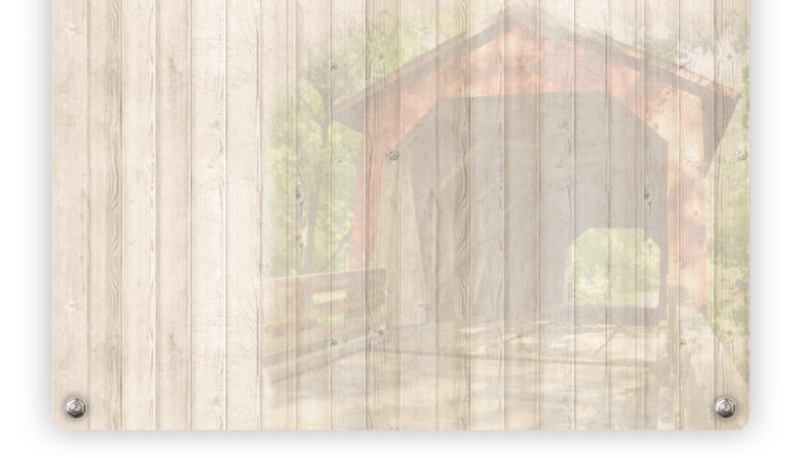 Catch a breathtaking view of this beautiful covered bridge spanning the Embarras River — just as it did in pioneer days. Completed in 2000, this beautiful timber bridge replaced an early 20th century metal and concrete bridge.